Army issues statement detailing findings and implications after accidental death of soldier. 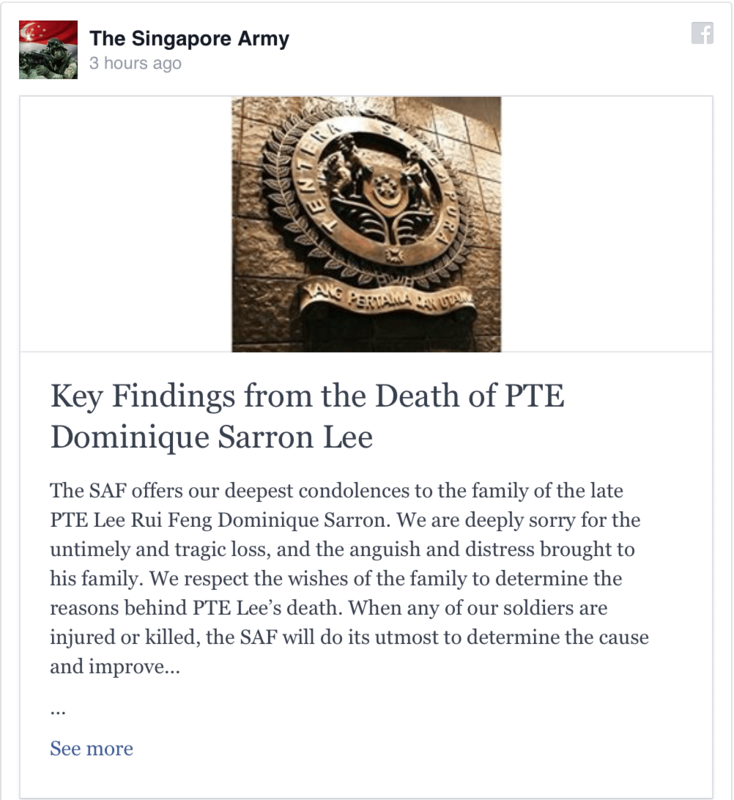 Headlines were made when news that the high court threw out the cases against the Singapore Armed Forces, and the individuals involving the death of Private Dominique Sarron Lee in a training accident. Private Dominique’s mother even penned an emotional letter to her son, stating that not only did she have to suffer the loss of a son but bear the brunt of the legal bills. The Singapore Armed Forces have responded in kind and issued a statement that they have taken administrative and disciplinary action against the two officers. » How Useless Is Your Degree?